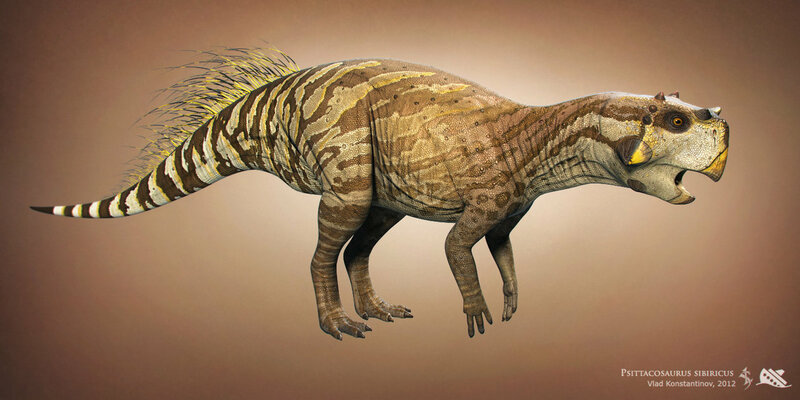 Psittacosaurus is a dinosaur which lived approximately 100-110 million years ago during the early Cretaceous Period. 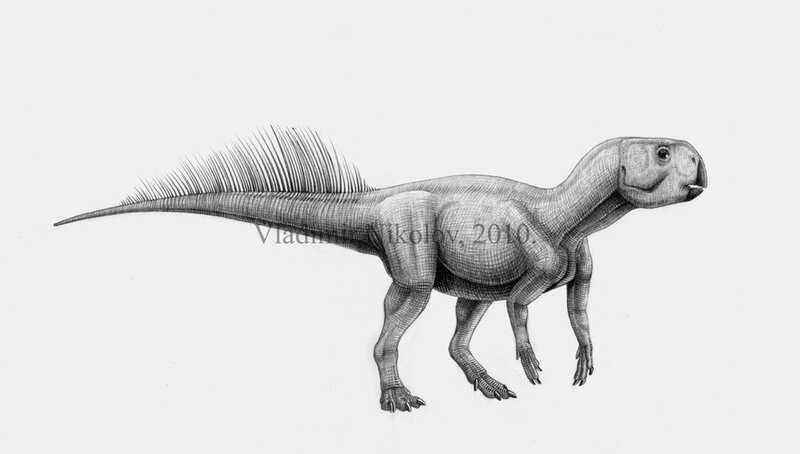 It was first discovered in Mongolia and in 1923 was named by Henry Fairfield Osborn. 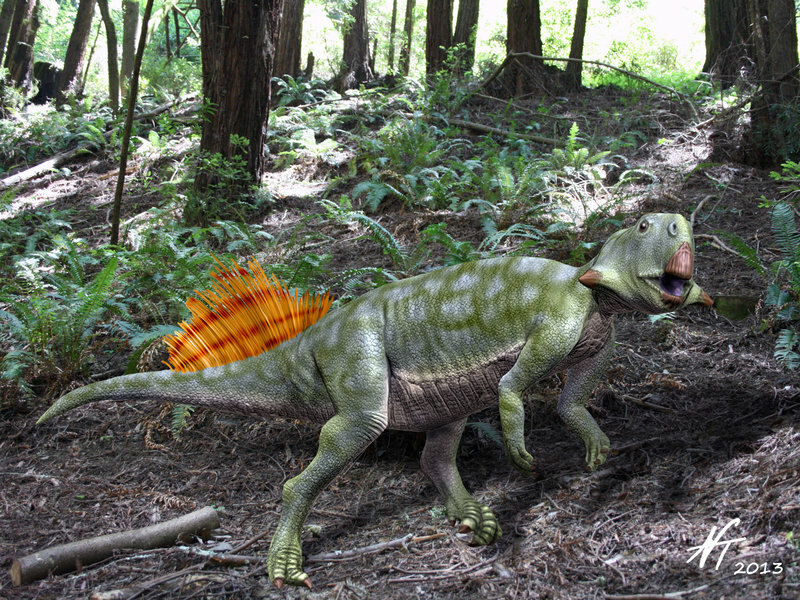 The name of this dinosaur means “parrot lizard”, so named because it kind of looks like a parrot. 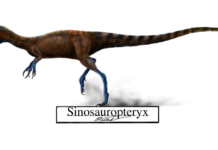 An interest fact about Psittacosaurus is that the paleontologists who named it also named the Tyrannosaurus Rex. 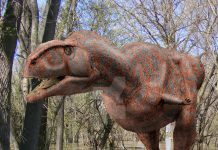 This dinosaur was around 6 feet long, 4 feet tall and weighed around 175 pounds. 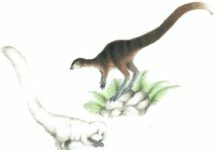 It was a fast moving herbivore that had a beak with no teeth in it, but did have cheek teeth in the rear of its mouth which helped it process plants. 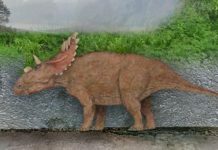 Paleontologists believe that this dinosaur may have lived in herds—which makes sense considering that would give this relatively small dinosaur a greater chance at evading predators. 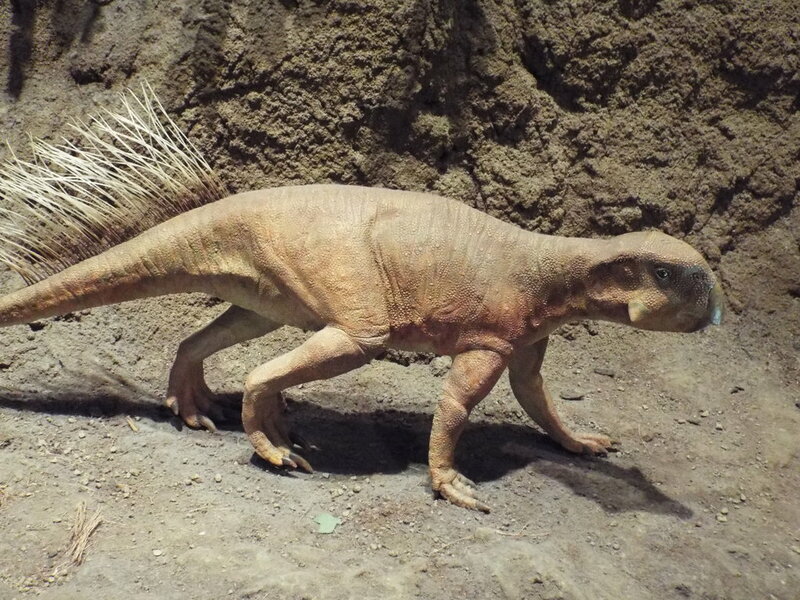 Psittacosaurus had front legs that were somewhat shorter than its hind legs. 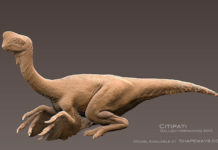 Therefore, it could use them like hands and walk on its back legs, or walk on all fours—depending on the situation. 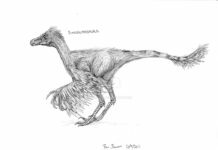 If it was being chased by a predator, then most likely it would have ran on its back legs and may have been able to run as fast as an ostrich! !